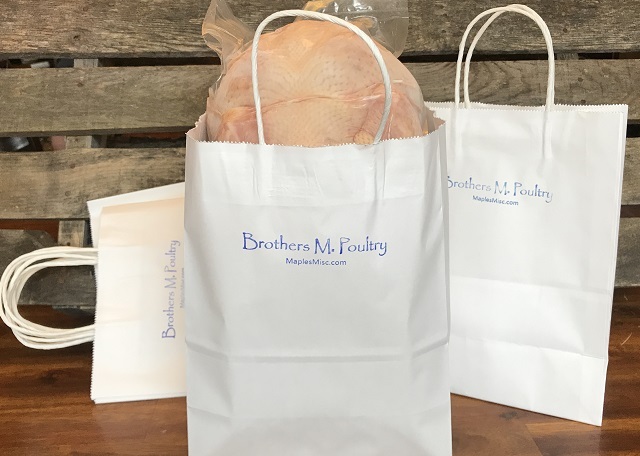 We recycle at our house and in the past have reused our plastic bags for Brothers M. Poultry. With the increasing awareness of waste plastic polluting the environment, we’re switching to paper bags made from recycled material. They look nice and are better for the environment. Get one free with every chicken purchase. The 2018 season is starting. May seems far away, but we’ve already finished our planning and scheduling for the year. Now is time to open up the CSA orders. Our CSA is now open. CSA orders are available now until all the slots are full or May 1st, whichever comes first. We’re happy to announce that our prices are staying the same again this year; no price increases. However, we have made some minor changes in the scheduling. We’ll be doing one larger batch of chickens in the spring instead of the two smaller spring & fall batches as we did last year. This mean only one pickup day for CSA orders. Based on last year’s pick-up schedules this should work out well and it helps us give you the best prices by keeping our costs down. If this does impact you, please provide us your feedback. One spring batch means you have 2 dates to choose from to pick up your frozen CSA orders, June 2nd or 9th. You can still choose to pick up your CSA fresh at our homestead, just arrange a time with us in the evening on June 1st or 8th. Our quality has not changed. 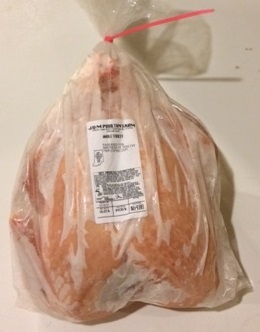 We’re still raising the same tasty pastured Non-GMO chickens we’re known for, so don’t miss out and order yours today. Click HERE to see our CSA. We’re still doing the Farmers Markets. Big brother’s not sure about sis helping him. Look for a new face at the farmers market. 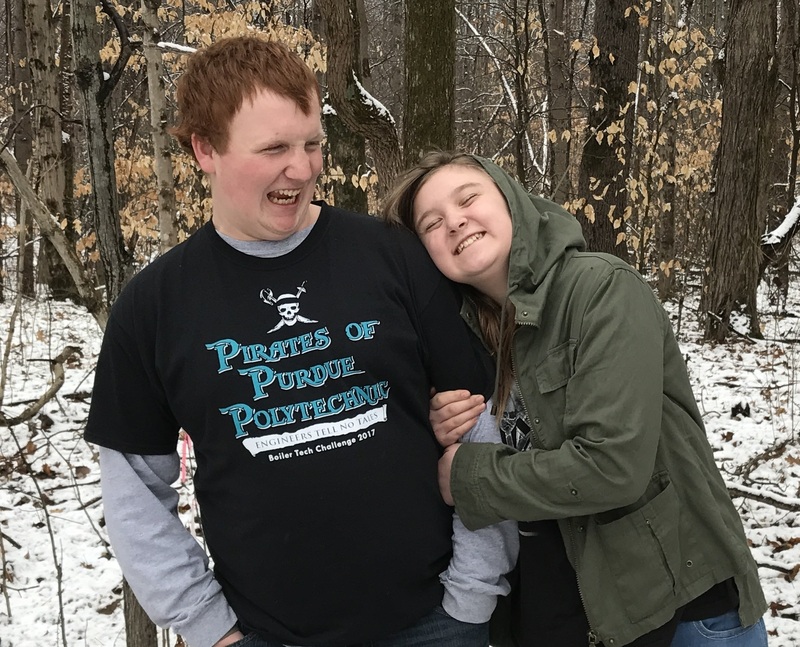 Joseph is stepping aside to give Samantha the opportunity to work with Matthew raising and selling chickens. We’ll continue to be at the Seymour and North Vernon during the normal Farmers Markets season. We try to be in Seymour every week and North Vernon at least twice a month, usually the first and 3rd Saturdays, until the chicken runs out. Check out our Poultry Pricing page for normal Market hours. Follow us on Facebook and we’ll let you know ahead of time where we’ll be. -Matthew, Samantha, Jason, and Tricia. Our turkeys are ready. These are the same quality poultry as our chickens, affectionately raised on pasture using non-GMO feed. We only raised a handful as a trial, so our supply is limited. Get yours to add a special touch to your special occasion. Price is $4/lb. Weights are 12-20 lbs. Turkeys are frozen. Order by contacting us at brothersM.poultry@gmail.com or through our order page . It’s about that time and we will be processing the chickens over the next couple of weeks. These birds are averaging closer to 6 – 7 lbs this run. Over achievers! For those who have pre-ordered we will be contacting you shortly to arrange pick-up. For those of you who have not pre-ordered – it’s not too late. There is still time to place an order. Just send us an email, brothersM.poultry@gmail.com, and we’ll get you taken care of. A special thanks to everyone for helping make Brothers M. Poultry a successful venture. I’ve been considering taking raising chickens to the next level, raising and selling pastured non-GMO chickens. For the past year I’ve raised 5 batches of chickens using my local feed mill grain. I processed some of these, but had most processed for me; all were for immediate family. Late last week I checked to see if I could get some chickens to raise for sell. The breed I wanted was out of stock. This week, off a whim, I checked and my breed was back in stock. That night my boys came to me and asked how they could raise money for the Scout Jamboree in 2017. I made them a business proposition contingent on getting processing lined up and non-GMO feed. In the next two days everything fell into place and Brothers M. Poultry was born.